MARION, Illinois (Feb. 12, 2015) – Approximately 3,794 acres of land in southern Illinois will sell in an absolute auction Saturday, March 28, with Schrader Real Estate and Auction Company marketing the land and managing the event. 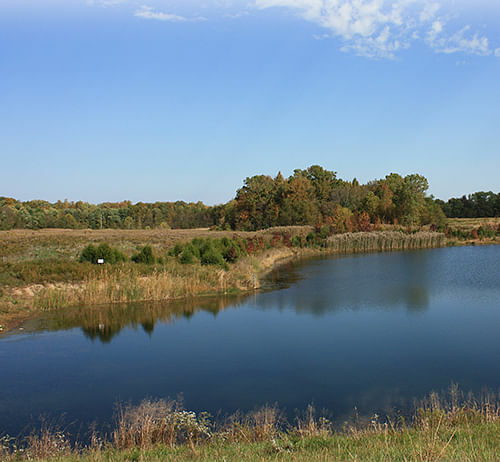 The property — which includes large lakes and ponds, more than 800 acres of tillable land, recreational land, potential building sites and pasture land – will sell in 25 tracts. Most tracts are located west of Harrisburg and north of Carrier Mills, in Saline and Williamson counties. “We’ll have tracts of all shapes and sizes, with a couple that are three or four acres, ranging up to a large hunting/recreational tract of 591 acres. Bidders may combine tracts to purchase just the land that suits their needs,” said Brad Horrall, who is managing the auction for Schrader. All tracts will sell with no reserve. “This includes a number of tracts that are good for hunting of waterfowl, geese, deer and turkey, as well as fishing and other outdoor sports. Many of the tracts also include designated building areas. We recommend that prospective bidders attend one of our inspection dates to make sure they understand the allowed uses in view of conservation easements and restrictions,” said Horrall. The auction will begin at 10 a.m. Central Saturday, March 28, at The Pavilion, at 1602 Sioux Drive in Marion. Schrader personnel will be available to provide detailed information at three inspection dates scheduled for 10 a.m. to 1 p.m. Feb. 26, March 10 and March 27.